Great news! SmartGreen offers a guaranteed mosquito suppression control program. Better news! SmartGreen offers reduced risk materials which are just as effective as the chemicals our competitors use. Georgia has more than its share of mosquitos and as you know, mosquitoes can be dangerous. Mosquitoes feed on both human and animal blood, thereby potentially infecting host upon host. 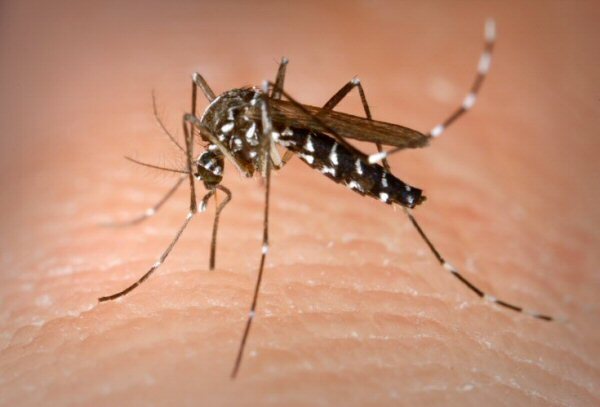 They are capable of transmitting numerous, sometimes fatal diseases such as West Nile Virus, malaria, dengue fever, yellow fever and canine heart worm. Millions of mosquitoes are born every day, making it impossible to completely get rid of mosquitoes. You can help reduce the number of mosquitoes around your property by eliminating any areas of stale, stagnant, standing water and by contacting SmartGreen. A SmartGreen pest professional will design a customized mosquito control program that fits the specific needs of your property, with the goal of reducing the number of mosquitoes invading your property. Call 404-937-7088 today schedule today with SmartGreen for your Mosquito control services. Eco-Friendly Program- We offer a monthly service which runs from March-October. Due to extremely low use rates, our product minimizes the amount of material introduced into the environment when applied as directed. Green Program- We offer a 21 day guaranteed service which runs from March-October. This program uses the very best green products on the market today. We offer neighborhood group discounts as well as service for schools, daycare's, wedding/large party venues, common areas and multi-family housing. We also offer a one-time service.